The results are in! It was a hot and dry weekend, and very exciting as Todd Young got his first win in Unlimited after competing for 11 years! 36 drivers in total took on the courses. Like always, lots of fun. Tech and Registration is Friday from 4:30 to 6:00 p.m. at the Goldendale High School parking lot – 525 E Simcoe Dr, Goldendale. At 6ish, all the Rock Crawlers will join the parade to downtown. We want everyone to attend. Once downtown, drivers are encouraged to park on each other to show off the vehicles, or turn around and drive back to the trailers. There will be a band/dj downtown for everyone to enjoy. 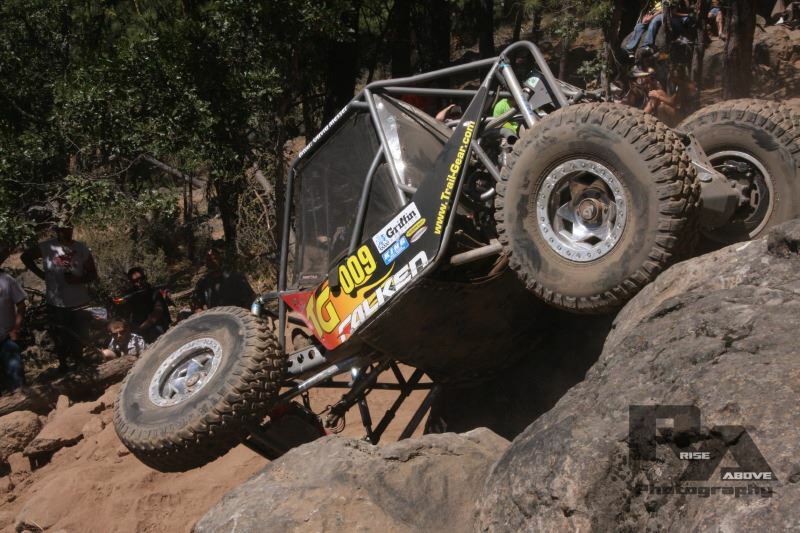 Rock Crawling is one of the most technical forms of motorsports. 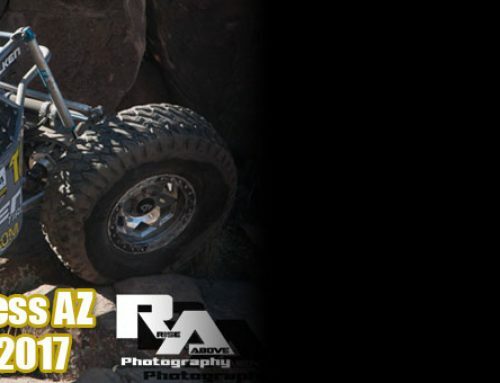 The Trail-Gear Western Series of rock crawlers come from many states away to compete for cash prizes. 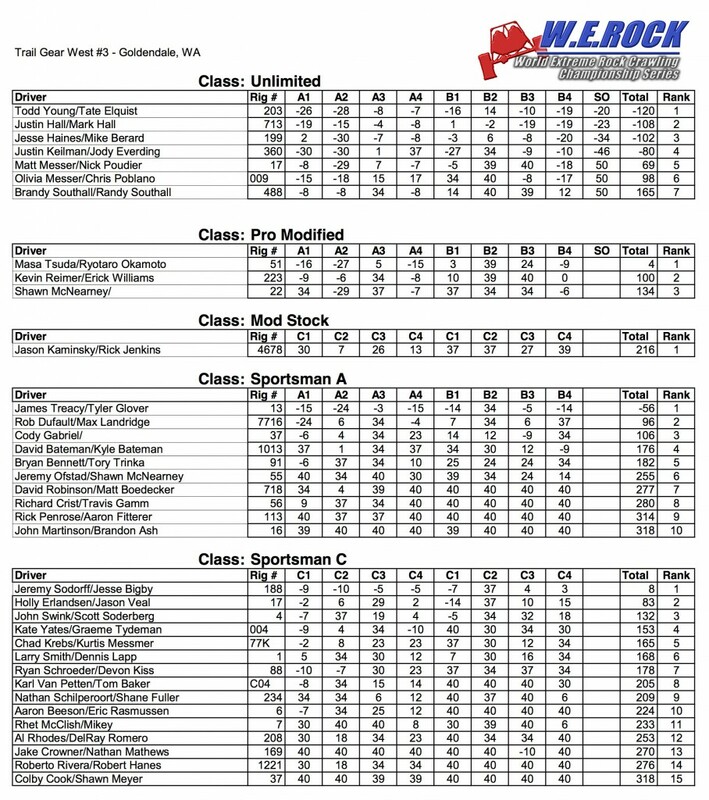 This will be the second round of competition, see the current point standings here. The third and final round of the Trail-Gear W.E. 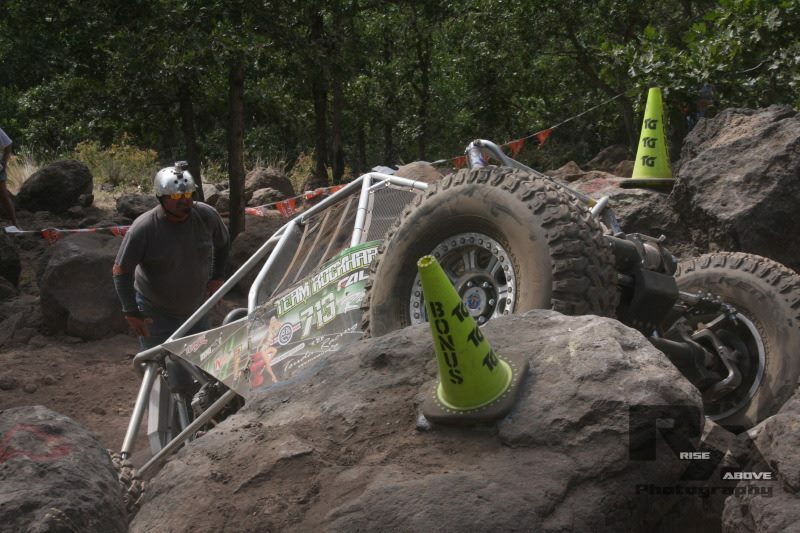 Rock Western Professional Rock Crawling Series is in Goldendale, Washington this weekend concluding the 15th year of regular season competition. The action starts on Friday night at the Goldendale High School parking lot where the Rock Crawlers will be on display before the downtown parade. At the end of the parade, the drivers and cars will put on a show crawling over some old cars and will then be on display downtown near the band for everyone to enjoy. The competition will be on Saturday and Sunday at the Broken Boulder Farms, a short four miles from downtown Goldendale. “This event always has great action as the pro teams try for their best finish at the last Western Series event of the season. This year the competition has been very tough,” said Rich Klein, President and founder of W.E. Rock Events. “The weather looks to be warm and dry with a nice breeze predicted. 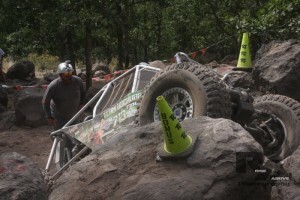 Rock climbing among the pines always gives that much needed shade for teams and spectators alike.” The event is very spectator and family friendly with the professional drivers available to sign autographs for the crowd in midst of the competition. There are many competitors, some driving over 10 hours, to be part of this professional series. 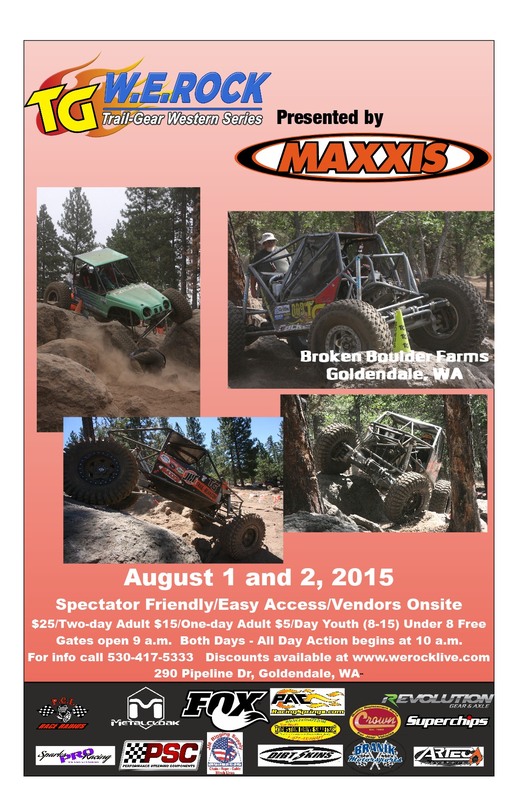 Local 4×4 offroaders are encouraged to participate in the Sportsman Class and join us in two days of competition and fun. Vehicles must have doors, roof, 4 point harnesses, 2 fire extinguishers and competitors must wear DOT helmets. Enter online http://conta.cc/1drGVRY or onsite. 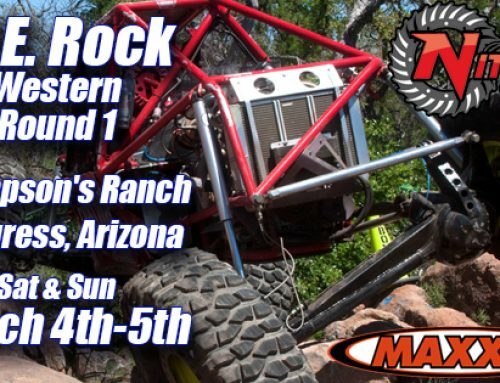 Pre-Registered teams include Unlimited Class Rock Hard Racing Justin Hall, Team 360 Racing Justin Keilman, Trail-Gear Matt Messer, and Trail-Gear Olivia Messer. Pre-Registered Pro Modified Drivers include Team Falken Tsuda Racing Masanori Tsuda, and Rushin’ Racing Denis Volkov. Mod Stock Driver Four Corners 4×4 Jason Kaminsky is also pre-registered. The Sportsman Drivers pre-registered are going to make for a great show including Twisted Toys Offroad Jake Crowner, NSOR Rob Dufault, Dirty Birdy Offroad Al Rhodes, NFG Racing Roberto Rivera, 4Locked Kate Yates and Richard Crist. Many other drivers are also headed to Washington to compete and will be entering at Tech and Registration on Friday. Spectators are encouraged to come and enjoy both days of entertainment with gates opening at 9am, and the action starting at 10am until around 4pm. The awards ceremony immediately follows the final Shootout on Sunday. Admission is $25 for a two-day pass, $15 for adults, $5 for ages 8-15 with a parent, children 7 and under free and Military with ID get $5 off. You can pre-purchase tickets at http://www.werocklive.com/events/rock-western-series-round-3-2. There are vendors, food and amenities on site, and we encourage you to bring chairs and shade structures. There is camping available onsite. 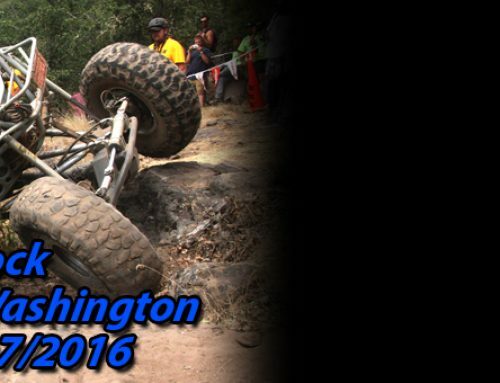 After the event we will have the results, pictures and stories posted at http://www.werocklive.com/2015/w-e-rock-western-series-round-3-goldendale-wa-2 for the W.E. Rock Rock Crawl.